Out with the old, and in with the new. Some think that 2017 is going to be the best year yet. Why’ 2017 marks Canada’s 150th birthday. The celebrations for this year are going to be big. Some are centered around July 1st, but other destinations are making 2017 a year-long party. We’ve come up with a few destinations to include on your camping bucket list for this year. Canada’s gift to its residents for 2017 is free access to all of the national parks’if you pre-order your park pass. You did’ Hit the road! On the Eastern side of our home and native land there’s lakes, escarpments, and hiking galore. Bruce Peninsula National Park is a family friendly option along the Niagara Escarpment World Biosphere Reserve; Yoho National Park offers mountain camping featuring waterfalls on the opposite end of the country. Probably one of the most Canadian destinations you can choose for Canada Day this year is our capital city of Ottawa for the 150th celebrations. Rumour has it that the city of Ottawa is considering opening up temporary ‘campsites’ around the city to accommodate the crowd expected for the festivities. Unfortunately, regular camping activities like campfires will obviously not be allowed on these temporary sites. Book a space at a nearby campground soon, or stay tuned for news about the potential urban makeshift sites. The small town of Duncan on Vancouver Island will be hosting a totem pole carving project to commemorate the island’s rich native history. The initiative is called Carving a Connection in Cowichan. If totem carving isn’t your thing, there are plenty of RV parks to choose from on the island. Almost all feature mountain views or beachside campsites. Year-round camping is also popular on the island, for those of you who can’t wait for spring time to hitch up the rig. The largest concentration of Icelandic people’outside of Iceland’is actually in Gimli, Manitoba. A statue of a Viking was created in 1967 to commemorate the area’s Icelandic history. To celebrate Canada 150, the town will be opening a park around the statue. The park won’t be for camping, but there are a few RV campgrounds in the area for overnight stays after Canada 150’s grand unveiling is complete. Pitch your tent on an apple orchard in Kelowna, British Columbia, at Apple Valley Orchard & RV Park. Kelowna is a must-see at least once in every RV’ers life. Okanagan Lake is extremely long and deep’perfect for water sports while camping. Kelowna is also known for its cider and wineries. The fertile land around the lake is perfect for growing grapes, apples, and other fruits. Apple Valley RV Park brings the fruitful fun of Kelowna to your trailer door by allowing camping at their orchard. This campground is open year-round, so you don’t even have to wait until spring time to get outside. Yellowstone Park technically extends into Montana and Idaho, but the majority of this expansive campers’ dream is in Wyoming, USA. There are five entrances to the park, so travellers can arrive from literally any direction. Some areas of the park are more developed than others, and its huge space allows for a handful of ecosystems to thrive in close proximity. Think waterfalls, forests, and rocky mountain ranges. Alberta’s Badlands provides a camping experience unlike any other in Canada. Set up your RV next to the hoodoos carved along the Red Deer River Valley as it twisted, turned, and transformed over the years. Explore the trails through the coulees and valleys, alongside the river and through the old willow trees. Park your RV right in the middle of Dinosaur Provincial Park in Drumheller Valley for the ultimate Badlands experience. The Dinosaur Park offers guided tours into the restricted areas of the hoodoos, and interpretive displays explaining the fossils found in the area. East of Medicine Hat, Alberta, and straddling the border of Saskatchewan, Cypress Hills Interprovincial Park is a mixture of dense forest, lush grassland, and Canadian prairie, which provides ample space for hiking and biking. The Fort Walsh Historic Site is located within the park limits, and the entire park is a dedicated dark-sky preserve. Serviced campsites are available in the Centre Block of the park; the West Block offers a more rustic experience. If you’ve got a little extra vacation time this upcoming summer, use it to drive all the way up to Great Slave Lake in the Northwest Territories. The trek is pretty far, even if you’re coming from Edmonton, Alberta. The most direct route will take a good chunk of hours behind the wheel. However, in the case of Great Slave Lake, the destination is worth the drive. Scenic campsites await, quieter than any other serviced sites in the country. The spring and summer are the best times to enjoy the sun, but campers might catch a glimpse of the aurora borealis on an early autumn night. We’ve already mentioned the Northwest Territories, but the Yukon and Nunavut should be on every adventuring RV’ers bucket list too. Planning to get to these locations will be a bit trickier as roads are few and far between. However, the remote views are unlike anywhere else in the country. This year, the Canadian Arctic Aviation Tour will bring their airshows to Canada’s Far North beginning in June of 2017. The tour will begin at the Rocky Mountain House Airport in Alberta, and hit almost 100 northern communities. From the Far North, all the way south to the Grand Canyon in the United States. There’s still time to join the snowbirds in the southern states! Warm up a little bit in sunny Arizona. North Rim Campground offers inspiring views of the Grand Canyon and serviced RV sites. The Pembina Valley encompasses the entire rich area between the Delta Marshlands, the Manitoba Escarpment, and the Golden Triangle, all the way to the shores of Lake Winnipeg. This area is great for camping and related activities like hiking and sightseeing. This large quadrant is known as the heart of Manitoba, so there are plenty of campgrounds for RV’ers to choose from. Oregon is just a quick jaunt south for Western Canadian travellers. This state is an underrated oasis. Much closer than the go-to destinations for snowbirds, yet just as warm and beautiful in the summers. Memaloose State Park is a well-kept secret in Oregon, featuring shady campsites along the Columbia River. Visitors will find huge amounts of juicy blackberry vines scattered throughout the greenery near the Columbia River Gorge. On the eastern end of our great country, Gaspe juts out into the Gulf of Saint Lawrence. Gaspe promises unbelievable views and quiet campsites. Whale watching, hiking, and relaxing are traveller favourites when heading to this corner of the country. With this year being Canada’s 150th birthday, campgrounds are expected to be extra busy. Avoid the crowds by thinking outside of the box this year’especially on Canada Day. If you have a friend who owns a good chunk of land, propose the idea of inviting all of your travelling friends to set up camp for the night on their property. This option combines the best of both worlds: the comforts of home, but the rustic fun of camping outdoors. Camping season doesn’t have to end with the summer. 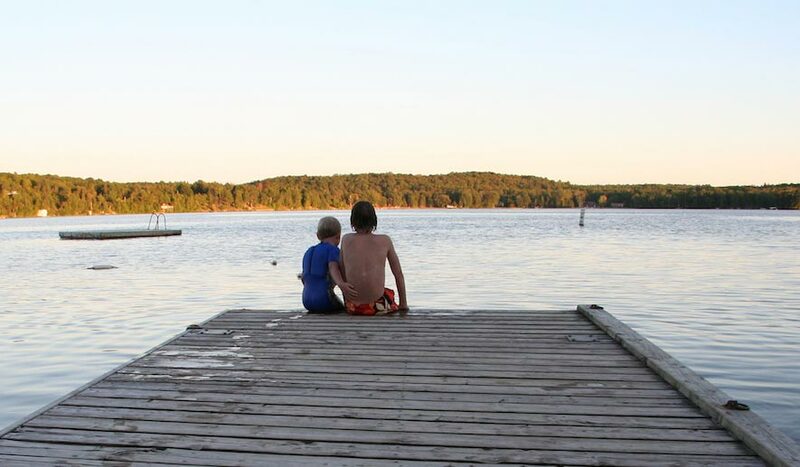 Privately owned Canadian campgrounds across the country will participate in this year’s camping appreciation weekend with discounted weekend rates. This annual weekend is set for September again this year. What destinations are you planning for 2017′ Let us know where you go!